Kuwait Foreign Trading Contracting & Investment Co. 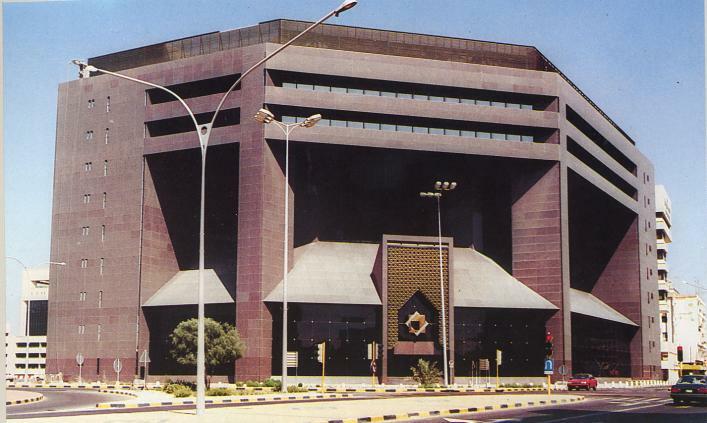 This is a prestigious eight storey building that houses the Kuwait stock market. 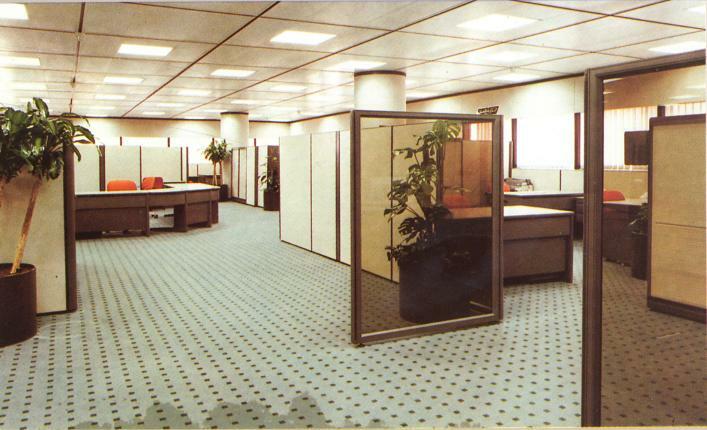 Three podium floors accommodate the large open stock market in a three storey atrium surrounded on the ground, first and second floors by galleries of glass-fronted brokers’ rooms, dealing rooms and a public concourse. The roof over the stock market is designed as a courtyard. The offices overlook a water garden courtyard through a curtain wall specially designed to minimize solar heat gain and sky glare. The seventh and eighth floor levels take the form of bridges which complete at roof level. Furthermore, a shading parasol at roof level is designed to prevent direct sunlight falling upon the glass area. Girders 6m high, 60m in breadth and 62T in weight were raised to slip formed cores 45m high.